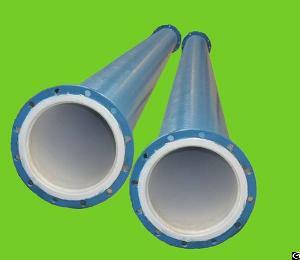 and outside epoxy coated steel pipe to maximize the advantages of both steel pipe and plastic pipe. Not only have the mechanical properties of steel, high strength, high stiffness, but also have the advantages of plastic pipe, anti-corrosion, smooth pipe wall, not breeding micro-organisms, no incrustation, water resistance coefficient is small. Compare with normal steel pipe the average water supply increased by 10% -15%, reducing the power consumption of water supply by 15%. Also has a good hygienic function, corrosion resistance, able to adapt to -30 � -100 � temperature range. Mainly used in municipal water conservancy project (transport tap water, middle water, Sewage), petroleum, chemical, fire, seawater transport and other fields. We will hold the spirit of�innovation, pragmatic�and the working spirit of �quality first, customer first, sincere cooperation, mutual benefit� engage ourselves in serving the customers with satisfactory products and elaborate service.